Betsy Erickson provides strategic guidance to Arabella’s family and individual clients to support them to further their philanthropic goals. 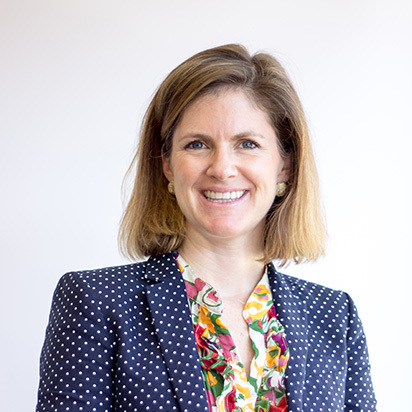 During her nine years at Arabella, Betsy has helped dozens of clients design and launch strategies and run grant-making programs in issues ranging from conservation to experiential education. Betsy draws on her study and practical experience in systems and family dynamics to facilitate groups to make decisions and work together effectively. Applying her expertise in enabling learning and collaboration, Betsy has significant experience working with multi-generational families. Prior to joining Arabella, Betsy worked for eight years in the nonprofit sector with groups focused on cancer research. She provided independent consulting services to national and regional nonprofit organizations such as CureSearch National Childhood Cancer Foundation, the Make-A-Wish Foundation, and the Lance Armstrong Foundation. She helped these organizations develop corporate partnerships, garner support from family foundations and major donors, and establish and grow their workplace giving campaigns. Betsy is active in her community, volunteering with a local service organization and advocating and fundraising for cancer research organizations. She has a BA from Colgate University, from which she graduated with honors in two programs: philosophy and religion, and art and art history. Betsy has also completed a three-year post-graduate program at the Bowen Center for the Study of the Family at Georgetown University.